not so well done on the bar situation, you know how many tickets you sold so you should have done something about making the bar area longer or even another bar across the way. 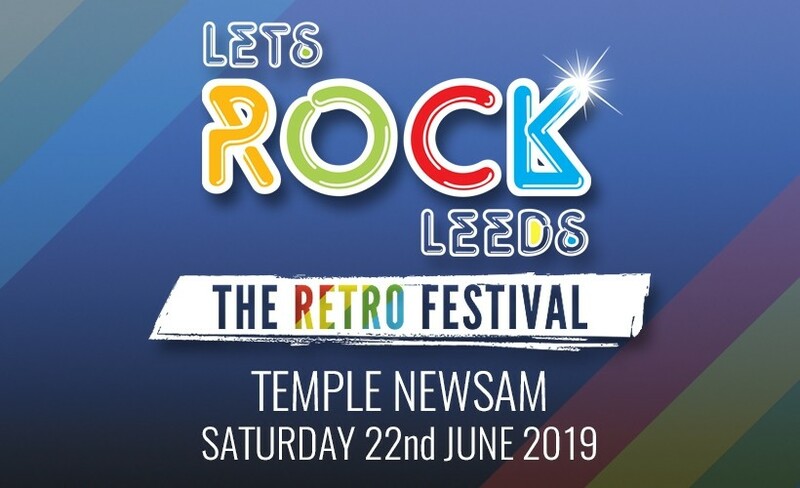 "Another year for the fabulous Lets Rock Leeds"
Lets Rock Leeds is absolutely fantastic. I attended with friends. We took a picnic and sat chilling to the music. The only rule I disagree with, is 'no alcohol', because you can buy it from the stalls inside. They allow you to take a picnic, yet you can buy food inside, so what is the difference really? The atmosphere is brilliant. Some people dress up as 80's icons but this isn't compulsory. You can go to up to the stage to see the artists or just sit back and watch on the big screens from afar. The line up was brilliant this year. I would highly recommend you go and promise you will not be disappointed. Can't wait for next year! "Great music event and on balance well worth the ££"
Share the gripes of others re the toilets/bars but hey it's a festival so you expect stuff like that. Little pricey inside but on a par with other festivals. Long queue at the bar(s), definitely needs rethinking! Rides had tendency to overshadow the music depending on how far back you were in the crowd. Good choice of food - best cheesy chips ever! Overall, nothing that would prevent attending next year but would be nice to go to one of these festivals and feel that your pocket hasn't been emptied. Be ready to queue to get in, peak time at the bar and on occasion for the toilets. Shame Human League were on so late and with the delay, as like others on the day we had to leave by a set time so missed any encore. We'll definitely be there next year tho! "A great day and some great music"
Great day spent with wonderful music and such an amazing atmosphere. Very good line up, this must have been the reason why it was busier than usual. Only one complaint. We couldn't get to the bar! Otherwise is was a fantastic day. Related to Let's Rock Leeds!